Tacoma Boat Builders was selected as the recipient of the Volunteer Group of the Year Award from Pierce County. TBB was nominated for having 36 volunteers spend more than 4,100 hours serving youth connected to Pierce County Juvenile Court. In March of 2019, TBB volunteers, staff, and families joined at the annual Volunteer Recognition Brunch and the Pierce County Council Meeting to receive the award and recognition. Additionally, TBB was featured in an article by the Greater Tacoma Community Foundation: 6 Tips from Pierce County Organizations for Attracting and Retaining Volunteers. Tacoma Community Boat Builders partnered with Sound Experience for the chance of a lifetime for our youth that included sailing aboard the Schooner Adventuress. Read the story from the News Tribune. Rusty George Creative is Tacoma’s leading branding and advertising agency. Each year, Rusty George awards a grant for advertising, creative design, and marketing work, pro bono. For 2017, Rusty George selected us! We are thrilled that Rusty George has given us this great opportunity. Watch here for news and updates as this exciting project proceeds! The 2016 Tacoma Maritime Fest, July 16-17, was a great success. We set out to build boats by families and other teams – Completely, in two days – Our first time at this ambitious venture! – And the project was a great success! Four teams of people spanning decades of life experience, catalyzed by the incredible energy and spirit surrounding them, made four boats and took them out on the Foss Waterway! Heart, help, and hands made it possible and brought a vision of what could be to life: The people of the TCBB community! The June/July 2016 issue of South Sound Magazine featured a wonderful article by Lauren Foster about Tacoma Community Boat Builders. We are thrilled to receive this great coverage. The informative article features interviews with Paul Birkey, TCBB chairman and founder, and Shannon Shea, TCBB executive director. Read the complete story here. Adam Lynn, Tacoma News Tribune staff writer, visited TCBB and wrote a comprehensive article on the TCBB program. The story was published on September 7, 2015, along with photographs and video. To say the program saved his [Kyle… Age 16] life would be hyperbole, but it certainly showed him a path he otherwise might not have taken… That path includes the smell of sawdust, the screech of a circular saw, the comfort of fellowship, the satisfaction of hard work and that beautiful feeling of being at the oars of a floating boat and commanding, if only for a sunny summer afternoon, your own destiny. In interviews with founder Paul Birkey, executive director Shannon Shea, and volunteer mentors working with youths in the TCBB boat shop, Lynn explored how the Tacoma Community Boat Builders program helps troubled youths build successful and purposeful lives. Lynn takes an in-depth look at TCBB’s successes to date and the challenges, plans and ambitions that lie ahead, and the importance of the TCBB program in the Tacoma community. … the kids, the volunteers, even himself, were building something bigger than boats: camaraderie, responsibility, friendship. Link to Tacoma News Tribune. Includes photographs and video. The Forest Foundation has pledged $5,000, which is a challenge match; $5,000 must be raised to qualify for the grant and receive another $5,000. In addition, two anonymous donors have pledged $1,000 and $5,000. These are also matching grants grants. For every dollar contributed (up to the grant total) we receive two dollars. Go here for more information. 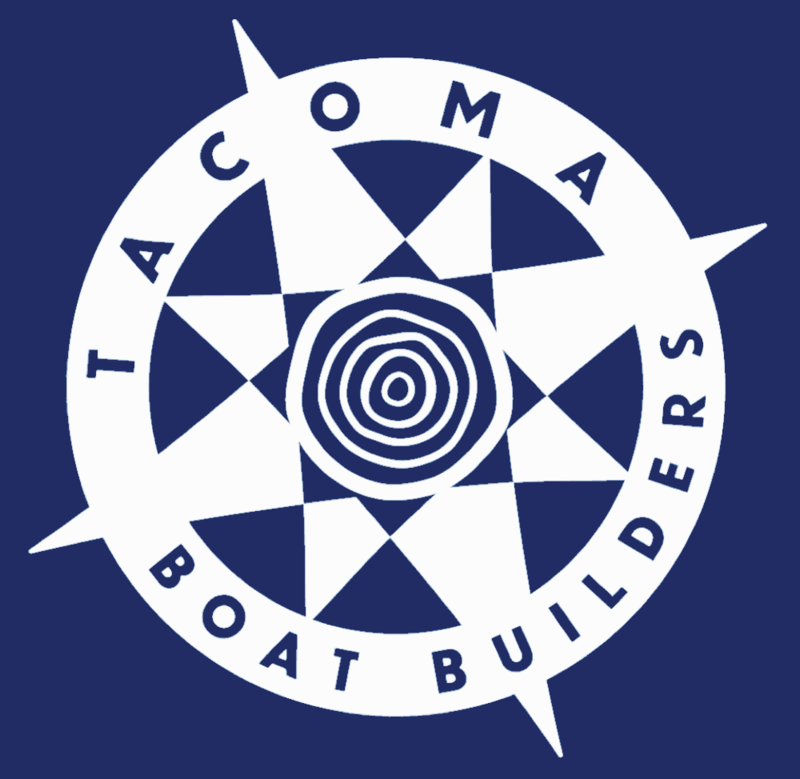 Tacoma, WA, June 8, 2015 – Tacoma Community Boat Builders announced that Dr. Shannon A. Shea has been named Executive Director. Dr. Shea will work in collaboration with the Board of Directors to nurture and guide TCBB as it enters its next phase of growth and development. Dr. Shea brings many tools to the TCBB table including: strategic planning, fundraising, community outreach and youth focused program building. Dr. Shea brings many years of successful non-profit development and experience working with at risk populations to Tacoma Community Boat Builders. Prior to joining TCBB Dr. Shea worked as an independent researcher-consultant on social development and high impact educational opportunities for women and children. For 10 years Dr. Shea directed applied research and social intervention programs at one of Latin America’s premier universities, the Tecnológico de Monterrey in Mexico City, Mexico. Dr. Shea led teams building alliances to increase access to education and health care for vulnerable populations. She has been a visiting scholar and lecturer on social intervention and ethical leadership at Loyola University, the Hauser Center for Nonprofits at Harvard University, and the University of Perugia in Italy. Tacoma Community Boat Builders is a community-based organization dedicated to working with at-risk youth crafting and sailing small wooden boats. At present TCBB is focused on expanding its programs serving court involved youth residing in Pierce County. In Tacoma, juvenile offenders are making a promise to turn their lives around, thanks to a program that’s teaching them to build boats – and much, much more. They’re enrolled in a program called Tacoma Community Boat Builders. “I’m creating something,” said Isaiah, who’s 16 years old and learning how to build boats. He’s creating something with his hands, with his heart, with every bit of conviction he can muster. This is Isaiah’s way of telling the world and telling himself, “I can do better. And I promise, I will. “I just come here and hang out, and build boats. I work on wood.” And he’s working on himself. “I got into trouble with the law. I got charged with possession of marijuana.” Tacoma Community Boat Builders teams up with Pierce County’s Juvenile Detention Center in Remann Hall. With this program for “at risk” kids, juvenile offenders try their hands at building character and confidence…and yes, boats too.